ATLANTA, GA 10/9/15 – 2T Water LLC announced today that it will partner with Albany State University to promote healthy drinking habits to students by offering their 0 calorie, 0 sugar beverages, on campus. The partnership will also focus on great initiatives that will yield sponsorships, scholarships, campus jobs, and inspirational leadership. 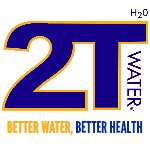 2T Water LLC was formed in 2012 with the mission to change the unhealthy drinking habits of so many Americans. Since inception the company has continued to grow and offers premium bottled water products to consumers and several businesses in the Southeast, Midwest, and Southwest. The partnership stemmed from a recent event held in Atlanta, GA, that included several Albany State University’s Institutional Advancement staff members in attendance. The event showcased the company’s products, which were shared with ASU staff. It was followed by a conference call among the key people setting the partnership in motion. Albany State University is a public institution that was founded in 1903. It offers both graduate and undergraduate degrees in over 30 disciplines. The ASU Rams sports teams compete in the NCAA Division II Southern Intercollegiate Athletic Conference. Albany State University was recently rated the No. 1 public HBCU in the state of Georgia. “Through this partnership with 2T Water, we hope to explore a variety of avenues including promoting entrepreneurship in our university curriculum,” said Andrew Floyd, ASU Director of Development. Currently 2T Water is promoting its latest offering 2T Biotin Water® Hair, Skin, and Nails. The announcement comes a few weeks before the University’s homecoming where 2T Water products will be featured at numerous campus activities. “We are honored to partner with ASU and it is our goal to create a greater presence for 2T water at our alma mater over the next few years. It’s a great way to give back while inspiring future business leaders said,” Eric Wells, CEO, 2T Water. I love this water. I am a graduating senior and I saw it in the bookstore and decided to try it. It was a great buy. It tasted great, and it was affordable! Albany State supports you! Thanks for your support Ke’iandra!!! And congrats on your final year. Good to hear from you! I have passed your message along to management. Currently, I am an Albany State University senior Marketing major. Most of the time, I purchase scantrons and books from our school bookstore. However, now that I am aware that we sell 2T Water, I will most definitely purchase a bottle to try it out and support you as well. Also, in addition to other marketing channels that you’ve mentioned in other posts, I believe your partnership with ASU is a great way to market 2T Water and increase its brand awareness. Thanks Tarria! And thanks so much for the support!